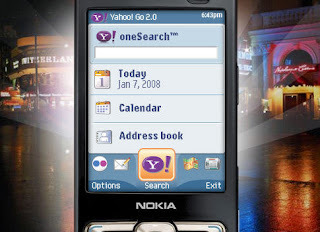 Eric Hamilton's Business & Technology Blog: Yahoo! Mobile in a Science Fair? I think you make several valid points. Young people are ready to use the technology they already know as well as learn new ones. Their teachers are the ones who need the most assistance, particularly overcoming their own personal fears and lack of basic tech skills. How do you think educators and internet gurus like yourself can help overcome these obstacles? Personal responsibility to self educate is part of the answer,but believe me, most teachers don't have the time to plan for their very diverse students,grade papers, call parents, and raise their own children, let alone read books on technology. This is not a cop out but a harsh reality. A. Bordeaux makes an excellent point. The technology gap between kids and their teachers is a wide one. I can't really fault the teachers for this (for the reasons stated by A and others you and I have already discussed), but it is a problem. These days, people who are passionate about technology tend to go into technology-based jobs, not teaching. So what's the answer? Perhaps some sort of mentoring program by high tech firms (such as Yahoo!) is in order. And not just for high school kids, either. It would be nice to catch these kids early and get them interested in testing the boundaries of technology. Also, I think the lack of creative programs in education these days is a real problem. I know most people don't believe there's any link between technology and the arts, but I do. When we were kids, we were encouraged to think outside the box in art class and music class. We were taught that things are open to interpretation. Kids aren't taught these things these days. Even if you're fortunate enough to attend private school, it's all about math and reading. Now, don't get me wrong. I believe math and reading are very important. But we haven't done a very good job encouraging a balance between analytical and creative thought. Perhaps we're doing more harm than good. I agree with you both, accept for the comment about music and creativity in schools. We have too many "fun" creative activities in school already. All kids want to paint and go to music class because it's easy and doesn't require real thought. I was born and raised in Detroit... Motown... and in 2005 Martha Reeves from the 60's Motown group Vandellas was running for Detroit City Council on the platform of "bringing music back to the city of Detroit".... What? Are you kidding me? We've got enough "wanna be" rappers and she wants to add to this maddest? The worst part is Martha Reeves won and is a proud member of the dysfunctional Detroit City council. Meanwhile, countries like India are cranking out computer scientists by the millions but Detroit has Marva Reeves. While Martha Reeves was "Dancing in the Streets" in the 60s, India was investing heavily in science education and it's paying off big time. Our Company work in the field Marketing Online, special offers catagory : Education, Health and Beauty, Financial, Membership Club, Incentivized, Debt , Mobile , Insurance , Biz Opp, Games, Family and Home , As Seen On TV, Babies/Children/Family, Skin Care of four big company CPAProsperity, Axon Media Group, Broongads, EleadMedia on AffiliateGood.net and find out other company in the future.if you are interested in this Catagory please on http://www.affiliategood.net/viewoffers.php for free, We hope our website helpfull with you.